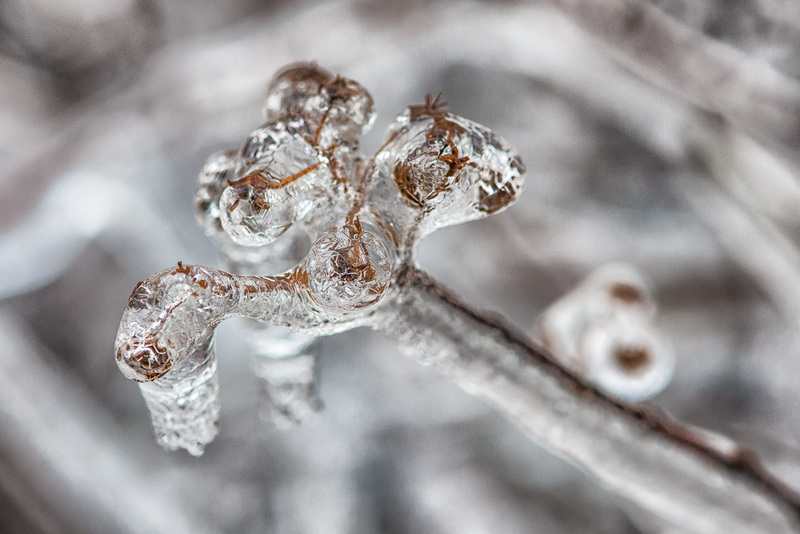 We experienced another ice storm today, although it didn’t turn out to be as problematic as the forecasters had implied. We had a slight coating of ice on the trees and shrubs, but thankfully the roads remained fine and I was able to attend my meetings and return home without problems. For this week’s A-Z Challenge I chose ice, since I’ve had ample opportunity to photograph a variety of icy subjects this winter. This is an image of a shrub that was edited in Lightroom and Color Efex Pro 4 using the Detail Extractor filter. After spending the past week in Florida, it was a rude awakening to spend time today scraping ice off my vehicle and once again donning my typical four layers of winter wear. But spring is just around the corner, and I know this is true because I saw the first Robin of the season in the yard today! Glorious shot! And I too am eager for spring. You seeing a robin gives me hope. Just the other day I saw some small purple flowers trying to bloom–and about 5 honeybees were abuzz around them encouraging them to open! Spring will be here soon! Nice! No flowers here yet, but it feels more like spring. We also had the neighborhood bear visit over the weekend. No more hibernation evidently. Yeah to the Robin sighting ! Love how Nik brings out the detail in this image. Did you get Nik yet? Really is fun to work with! I’m still learning! Great capture, the patterns in the ice are beautiful.